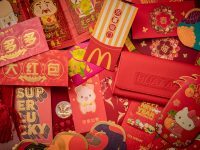 Check out the red packet (Ang Bao) designs for the year of the earth pig. Over 100s of designs from Singapore and Asia. 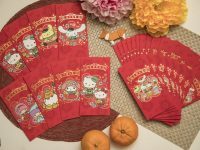 For the past few years since 2014, we have been compiling the various designs of red packets for the Chinese New Year in Singapore and around the region. Cherin Sim is the only marquage painter in Singapore I know of. 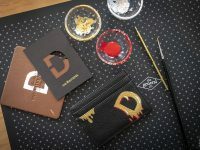 She creates hand painted one-of-a-kind designs on to bespoke leather goods. 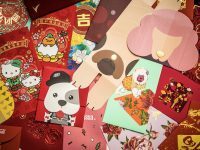 We feature the red packets for the year of the Dog. Over 100 designs. Some feature very cute doggies while others are simple yet elegant. Check them out. Thermos Singapore has collaborated with two artists from The Art Faculty by Pathlight to launch a limited edition tumbler and food jar. 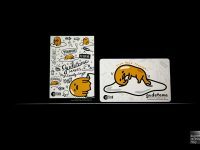 Three Gudetama ez-link cards to collect. Available online from My EZ-Link Online Shop and at TransitLink Ticket Offices. 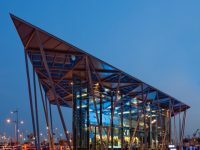 The Red Dot Design Museum first opened 12 years ago at Red Dot Traffic Building but will be shifting to its new home at Marina Bay in Q4 2017. 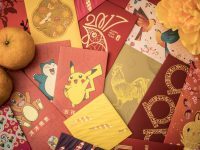 We consolidated the red packets produced this year to herald the year of the rooster from Singapore, Malaysia and Hong Kong. Which are your favourites? 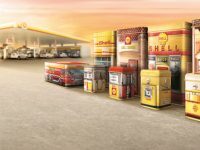 Shell Malaysia has launched a collection of limited edition Shell Heritage Canisters to celebrate its 125th anniversary in the country. LINE Corporation gives birth to Choco, Brown’s little sister, to its popular range of LINE characters ahead of its fifth anniversary in June.